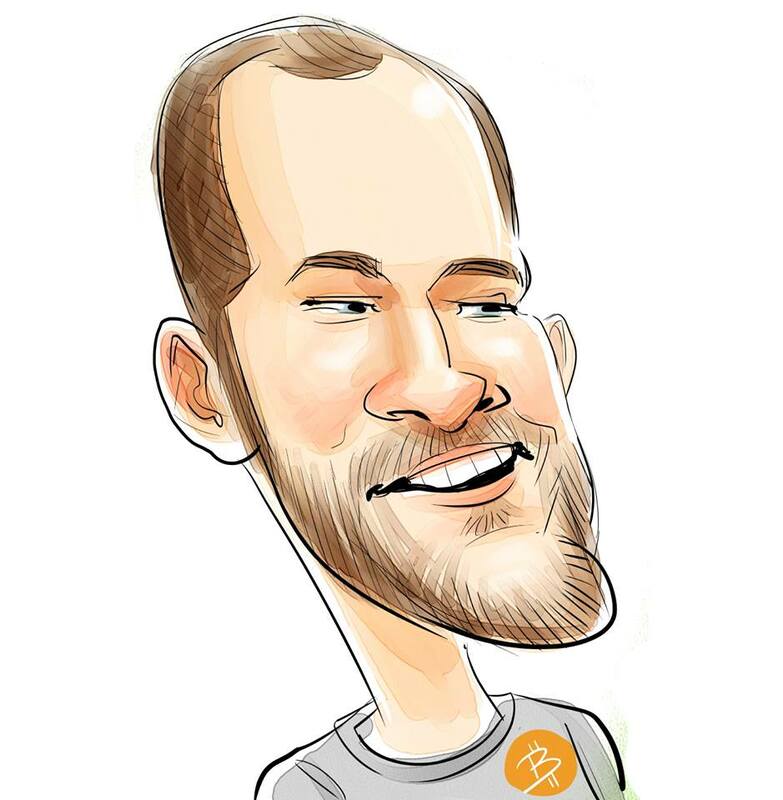 Jameson Lopp is a Bitcoin evangelist, an engineer at BitGo and the creator of Statoshi. Q: Hi Jameson! Can you tell us about yourself and what you're working on? I’m a software engineering team lead for BitGo, an enterprise digital asset security service based in Palo Alto. I created Statoshi, a fork of Bitcoin Core that analyzes statistics of Bitcoin nodes, founded Mensa’s Bitcoin Special Interest Group, and founded the Triangle Bitcoin & Business meetup. In my spare time I wax philosophical upon the nature of Bitcoin. Q: What does BitGo do? Q: What was the most valuable lesson that you have learned while working at BitGo? 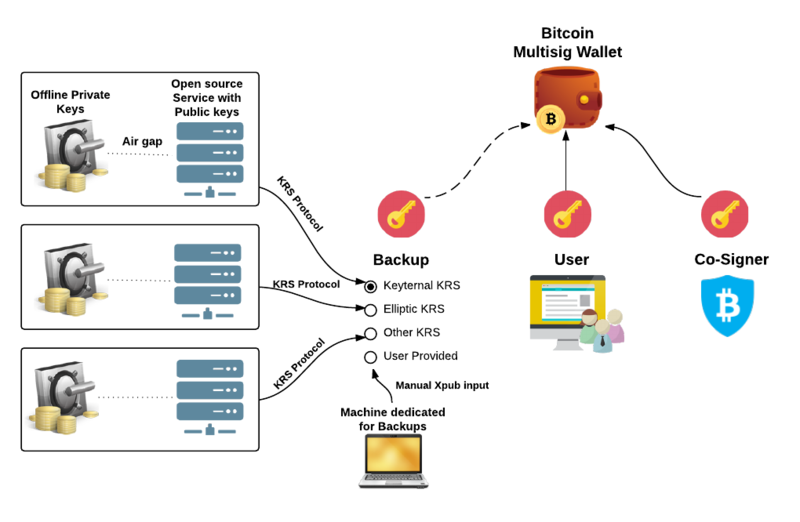 When it comes to crypto assets, it’s better to have too much security than not enough. More security tends to result in greater inconveniences, but it’s more preferable that a user not be able to access their money for a week than it is for an attacker to be able to access it for even a few seconds. Statoshi is a fork of Bitcoin core that contains a StatsD integration to emit metrics that can be collected, aggregated, and displayed as operational dashboards. I originally had the idea because I realized that Bitcoin is all about transparency in its operation, but I had very little clue as to what my Bitcoin node was doing. I took some of the DevOps monitoring tools with which I was familiar and applied them to help Bitcoin node operators. These stats have been used by several Bitcoin developers over the years to better understand the network. Q: Do you plan to create another crypto website? I have a long list of projects that I would love to spend more time working on. Most recently I created the Bitcoin Core Config Generator because I saw a need for node operators to more easily understand the 150+ config options available to them. Unfortunately I have no idea when my next project will be ready for release – it will mainly depend upon when I can find time to work on it. Q: How did you get into Bitcoin? I first became interested in 2012 and over the years I continued to dive deeper into it, until I decided to switch my career into this industry in 2015. I was motivated by the idea that money is a concept that belongs to humanity at large – it should not be controlled by a few elites. I wanted to be involved in a project that empowers individuals. Q: What do you think about politisation of Bitcoin? If you mean the various tactics that some people use to push their particular perspective of Bitcoin with regard to scaling debates or proposed forks, I think it’s all a part of the process. We’re still trying to fully understand how we can operate within a system that has no formal governance. As such, many people are employing traditional political tactics to see if they will work or not. Naturally, some people go too far and cross ethical boundaries that we may disagree with. But Bitcoin is an adversarial environment; it needs to be able to weather far worse. Q: Is it important to accept that Bitcoin is a forever morphing thing? I spent the first several years of my Bitcoin research focused upon technical understanding of the protocol and its operational aspects. But more recently I’ve come to view the technical system as merely a representation of a less concrete form of consensus. I see the human consensus as a more interesting aspect at the moment, because it’s what protocol developers are trying to discern themselves in order to build the system to the specifications provided by human consensus. Q: What are the main challenges in front of Bitcoin today? Scaling, privacy, and better understanding how the system handles upgrades and attacks. A lot of productivity has been lost while trying to figure out governance issues. Q: What should the Bitcoin community do to engage many users to the network? My long term goal is to get younger generations interested. If Bitcoin is meant to be a global monetary system, it needs to have a lot of contributors. Once an entire generation comes to the realization that it can determine how it wants its money to operate, I expect that future generations won’t willingly hand this power back to a small group of people. Q: What are the benefits for companies of coopetition in adversarial environment over competition? The general idea is that when we compete, we are slicing up the pie of profits into smaller pieces. By cooperating we can bake a bigger pie. Then we can always compete later on how to slice it up, but most likely everyone’s slices will be larger. By cooperating we can bake a bigger pie. Q: Should we hardfork each time we want to or it is better to unite? I think it’s a matter of the community figuring out how to get a clearer read on what the meatspace consensus is to make a proposed change. If folks can build consensus to do a hard forking change, then more power to them and we should make that change. The harder part is when a subgroup forms a conflicting consensus and then believes that their own group’s consensus is sufficient to force the rest of the ecosystem along with them. Q: Show off your workspace. My battlestation sits on an electric motor driven adjustable height standing desk with 5 screens, two of which are driven by mini fanless PCs. Q: Is Bitcoin the only cryptocurrency the world needs? Ultimately, hopefully it will be able to service everyone’s needs. At the moment, no blockchains are able to service even a fraction of global transaction volume or all of the potential use cases. There is much work to be done before this technology can achieve mass adoption. I suspect that we’ll continue to see a diverse ecosystem of crypto assets continue to evolve, with many blockchains being specialized rather than generalized. Q: You are super active promoting your philosophy! Who or what motivates you to move forward? I suppose you could say I’m fueled by a healthy disrespect for authority. It pains me to see so many people blindly deferring to authorities for the entire lives, in many cases without even realize the freedom and opportunities that are being taken from them. It pains me to see so many people blindly deferring to authorities for the entire lives. My goal is to leverage my skills with technology in order to empower individuals. Q: How many Bitcoins do you hodl? It’s the vast majority of my net worth. 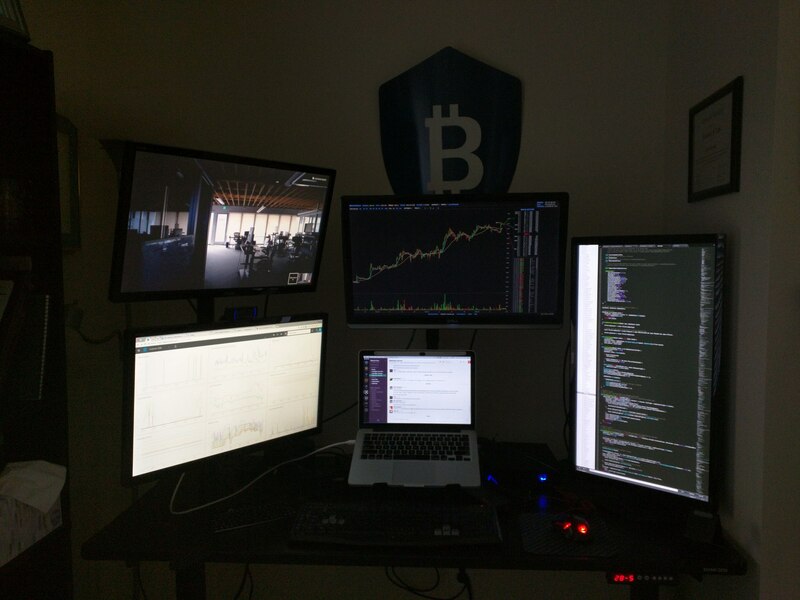 I’m a long-term HODLer and I even converted all of my retirement funds into BTC in 2014. My general rule of thumb is that if I have more than a few months worth of savings in my bank account, I’ll convert the extra into BTC. I don’t hold many crypto assets other than BTC except for some of the privacy focused coins. I steer clear of ICOs altogether. Q: What would you ask Satoshi if you would meet him? Assuming he still holds the keys to his mined coins, whether or not he has a plan for spending them without causing market hysteria or revealing his identity. I suspect he/she/they may simply be waiting for better privacy technologies to be developed. Q: What do you think about JS in-browser miners? It looks interesting, though I don’t think that in-browser miners should completely peg the user’s CPU. If a site is going to do this, I’d expect them to configure it to not noticeably degrade the user’s browser performance. I doubt that Statoshi gets enough traffic to make this a worthwhile endeavor for me. I do think it’s a better idea than privacy-degrading advertising, but it should be completely unnoticeable to the end user if you want it to work well. Q: Mention 3 blockchain-related links. 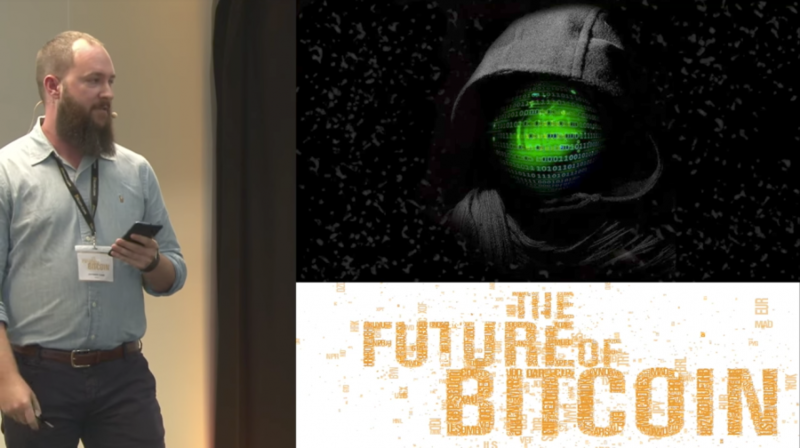 In terms of resources I enjoy Bitcoin Tech Talk for succinctly explaining technical issues related to recent events in the space. I also recommend reading the historical literature provided by the Satoshi Nakamoto Institute in order to understand how we came to be where we are today. To stay up to date with cutting edge research, you can’t beat Christian Decker’s Comprehensive Bitcoin Academic Research Archive. I expect that over the long term, advancements in blockchain technology will continue to free the markets and empower individuals. We will experience the rise of crypto anarchy as command-and-control systems are deprecated and people voluntarily migrate to superior systems build upon principles of freedom. I’m most active on Twitter at @lopp and you can find most of the content I’ve created over the years at lopp.net. Thanks for the interview, Jameson. Keep up spreading your philosophy and vision! Great interview and thanks for the resources Jameson!